Airdrie, Alberta – The Airdrie and Didsbury RCMP along with Calgary RCMP Police Dog Services have arrested an Olds man in a stolen commercial truck in the Town of Carstairs. On Thursday, June 28 at approximately 9:00 am, Calgary Police Services HAWCS helicopter requested Airdrie RCMP assistance with the recovery of a stolen vehicle. CPS reported that a commercial landscaping truck, stolen out of Calgary, was parked in Airdrie along 8th Street. Airdrie RCMP marked and unmarked police vehicles attended to the area. The stolen truck became mobile again and headed Northbound out of Airdrie city limits. The stolen truck travelled Northbound along Range Roads 13 and 14. Attempts by RCMP to stop the stolen truck were unsuccessful as the vehicle continued Northbound. CPS HAWCS helicopter continued to monitor the direction of travel of the stolen truck for officers on the ground. 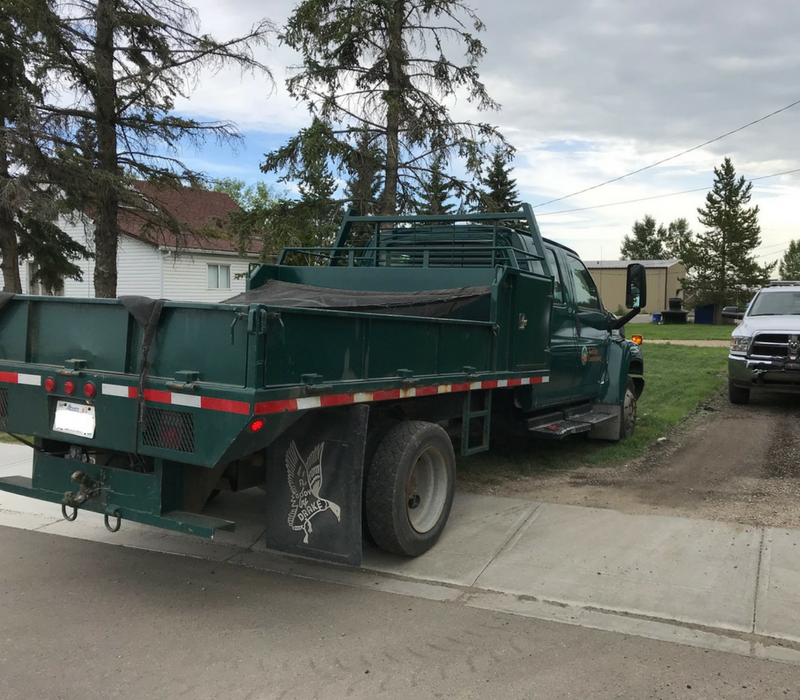 The stolen truck, travelling at normal speeds, eventually travelled into the Town of Carstairs. Calgary RCMP Police Dog Services along with Didsbury RCMP were contacted to provide assistance in apprehending the suspect. The lone male suspect attempted to flee from the truck within Carstairs and run on foot. RCMP Police Dog Services were successful in apprehending the suspect in a back alley. The suspect sustained minor injuries during the arrest while no one else was injured. A 43-year-old male from Olds, AB is currently in custody and facing numerous charges including: possession of stolen property over $5000 and flight from Police. President Todayville Inc., Former VP/GM CTV Edmonton, Honorary Lieutenant Colonel 41 Signal Regiment, Board Member Lieutenant Governor of Alberta Arts Award Foundation, Past Board Member United Way of Alberta Capital Region, Musician, Photographer. Attempted murder suspect with notable facial tattoos wanted by police. Do not approach! RCMP Serious Crimes Branch North is seeking information to locate a male suspect wanted for attempted murder. On March 13, 2019, Tofield RCMP responded to a complaint of a male suffering from a gunshot wound in a rural area near Highway 626. The adult male victim was treated for his injuries. As a result of the investigation, RCMP and Edmonton Police Service were able to locate two of the three suspects. Tony Marie Boyd-Watt (20) of Edmonton has been charged with pointing a firearm and property related offences and was released by a Justice on conditions. Rylie David Jason Homeniuk (21) of Edmonton was charged with attempted murder, along with persons, property, and firearms related offences and was remanded into custody. 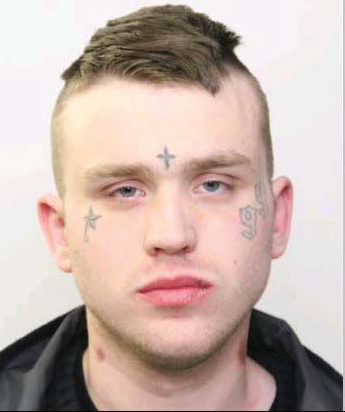 Cody Cameron Nicholls (19) of Edmonton is wanted for attempted murder and is currently at large. – 5’4” tall, 170 lbs. Curiouscast is a new podcast network from Corus Entertainment and home to The Ongoing History of New Music, Nighttime, Dark Poutine, This is Why, as well as news and talk radio shows from all across Corus Radio. All of our podcasts are completely free and can be found on Apple Podcasts, Google Podcasts, Spotify, Tune In or wherever you find your favourite podcasts. New shows are launching all the time so make sure to check back often and enjoy Curiouscast. People know their hometowns by streets, a favorite restaurant or the local mall. Crime Reporter Nancy Hixt knows hers by the crime scenes she’s been to. Journey deep inside some of Canada’s most high-profile criminal cases. Each episode will take you inside the story to give you details you didn’t hear on the news. The podcast is hosted by Nancy Hixt, a former RDTV reporter in Red Deer, and for the past 2 decades, crime reporter with Global TV Calgary. 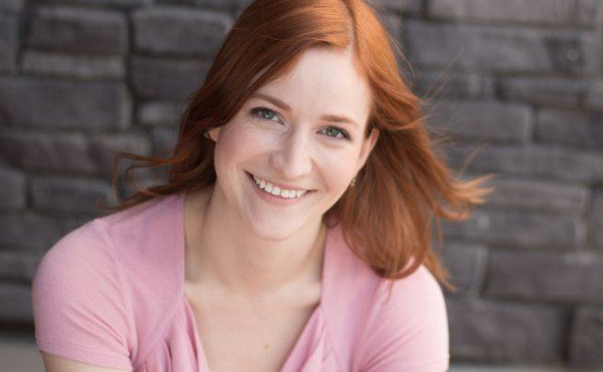 In the fourth episode of the Global News podcast Crime Beat, crime reporter Nancy Hixt tells a story of an aspiring actress who mysteriously disappeared from Calgary in November 2014. In Shannon Madill’s Last Audition a murderer’s confession during a police interview is made public for the first time. If you enjoy Crime Beat, please take a minute to rate it on Apple Podcasts or Google Podcasts, tell us what you think and share the show with your friends.